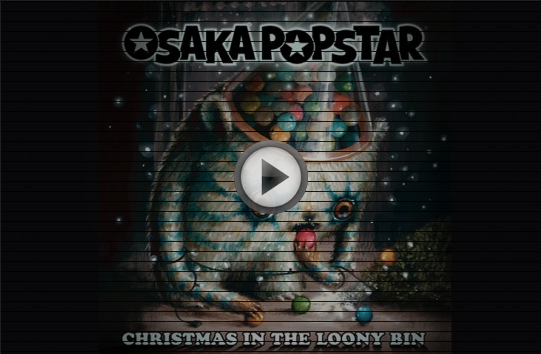 The latest by Osaka Popstar features frontman John Cafiero (Vocals), with Dean Rispler (The Dictators, Voluptuous Horror of Karen Black) on Guitar/Bass and Jon Wurster (Bob Mould, Superchunk, The Mountain Goats) on Drums. Click the Image Below to check out the Animated Lyric Video for the new single. 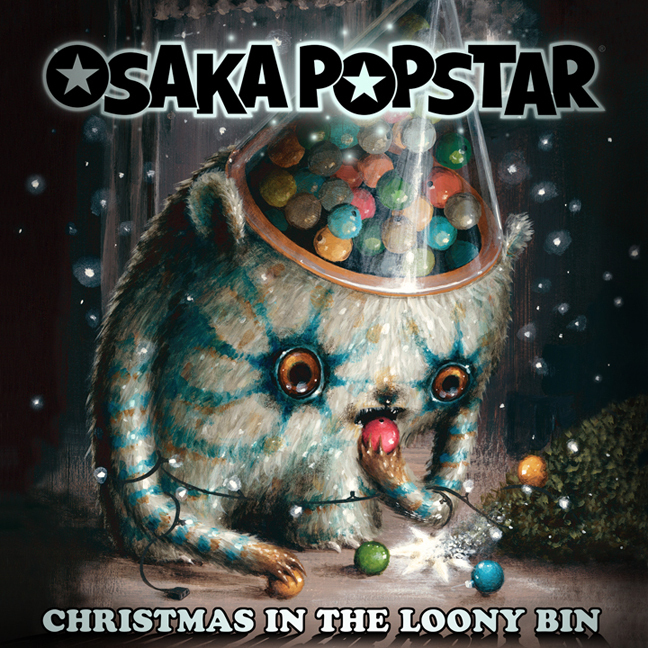 A traditional holiday card, featuring Osaka Popstar’s “Loony Bin” cover art, painted by award winning artist Jason Limon, is also available in a signed and numbered limited edition of 500 pcs. 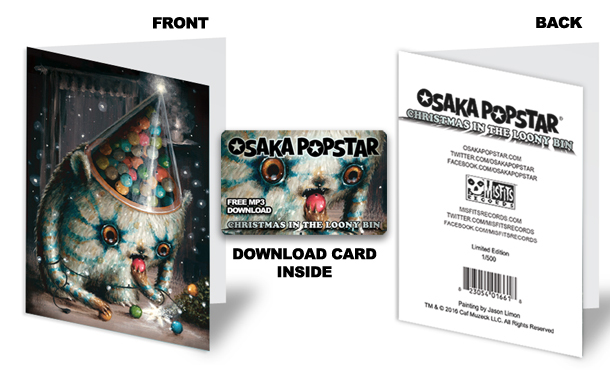 The cards, personally signed by Osaka Popstar’s John Cafiero, include a collectible, plastic download card for the new single inside. Look for them in the Misfits Records and Osaka Popstar online shops, or at select retailers, while supplies last. The Ltd Ed greeting cards measure 5.5″ tall x 4″ wide with blank interior so you can write your own message or holiday greeting to friends and family, or keep the limited edition piece mint for your collection! All pre-orders placed in the Misfits Records Online Store will receive an instant MP3 download of the new single to hold you over while you wait for your signed Ltd Edition collectible card to arrive.